That you will find Room for all GOOD things. Find ways to let The Healing Hand help you clean out your heart and mind and make more room for all that is of God and is Good. Merry Christmas from me and my little family! They journeyd far, a weary pair, they sought for shelter from the cold night air. Some place where she could lay her head, where she could give her Babe a quiet bed. Was there no room? No corner there? In all the town a spot someone could spare? 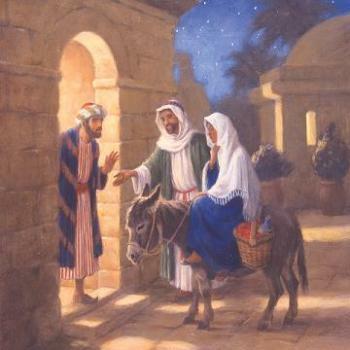 Do you have room for the Savior, and do you seek Him anew? Are you as humble as a shepherd boy, or as wise as men of old? Would you ahve come that night? a sign for God this was the Holy night. And yet so few would got to see the Babe who came to rescue you and me. but on that night for him there was no room.